Whether your property is suffering from tripping switches, circuits overloading, in need of a rewire, in need of a meter upgrade, needs extra sockets, or a landlord needing an EICR (Electrical Installation Condition Report) through to full commercial electrical system installation, we are the company to trust and call. Our qualified electricians are NICEIC approved, CHAS accredited, DBS checked and all work comes with a 12 month workmanship guarantee. At Taylor Pickering we guarantee that our skilled and qualified electricians in Leicester will complete all work to the highest standards and to current regulations. We offer a complete range of electrical services from assessment to installation. 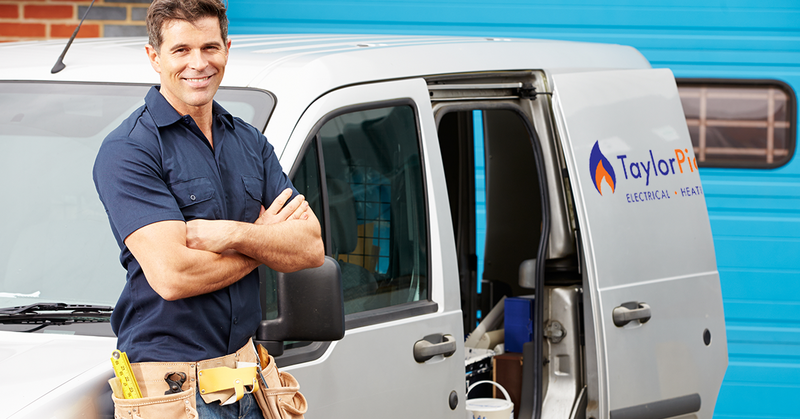 So, whether you’re a homeowner, landlord or businessowners owner whose property or system needs electrical repair/upgrade or installation you can trust Taylor Pickering guaranteed workmanship. Ensuring your wiring, electricity supply and equipment is up to current standards is essential for your safety, and that of your employees and tenants. As trusted local electricians we promise that our work will keep you safe, keep your electricity flowing and that your equipment and systems will be tested and working to the latest standards. Our team of uniformed electricians promise a completely transparent approach to the work, and all quotes are explained fully so that you know exactly what service we are providing. Any additional work that may be needed will be highlighted to you before commencing, so no surprises on the invoice. If you need guaranteed workmanship, on time electrical contractors with no hidden charges, call Taylor Pickering today on Leicester 0116 287 76 73 or use or quick contact form for a call back.